At Abilene Family Dentistry, we’re here to help our patients achieve and maintain their highest level of oral health. There are large variances between cases because every smile is as unique as the individual wearing it. What is best for you can only be determined through comprehensive examinations, learning more about your historical and current state of health, and with your goals in mind. If you’re starting from a place of oral infection and disease, you’re not alone and we’re ready with restorative dental solutions. If we catch tooth decay in its earlier stages, we can remove the damage and restore your affected tooth (or teeth) with safe, tooth-colored composite resin fillings. We prefer composite resin fillings because they’re durable, nearly impossible to differentiate from your natural teeth, and free from mercury. 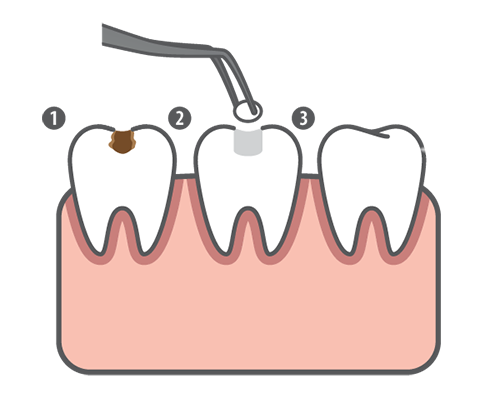 Composite fillings are also less likely to have decay form around and underneath them. When we mention that decay can and unfortunately often does form beneath and around silver amalgam fillings, you may have other questions about them or even want old silver fillings removed from your mouth. We’re happy to answer your questions and perform mercury filling removal from the comfort of your dental home. Depending on the size of the old restoration, we can place a tooth-colored filling, inlay, or onlay to get your smile back to functioning without revealing you’ve had a cavity. The visible portion of each tooth in your mouth is referred to as the crown. If decay has taken over more of your crown than a filling, inlay, or onlay can repair, a crown may be the restoration to bring your smile back. Crowns are tooth-shaped caps that look and feel just like your natural teeth. At Abilene Family Dentistry, we take digital impressions for precise measuring and placement, and our CEREC® milling machine will craft the crown to these exact specifications for a fit that’s secure, beautiful, and doesn’t require a second or third appointment to get just right! The materials used to craft our crowns may be all porcelain or zirconia, and we can help you decide which is best for your mouth. If you’ve lost a tooth due to decay, infection, or injury, you don’t have to live with the empty space it’s left behind, and there are a few reasons we advise replacing it as quickly as you can. 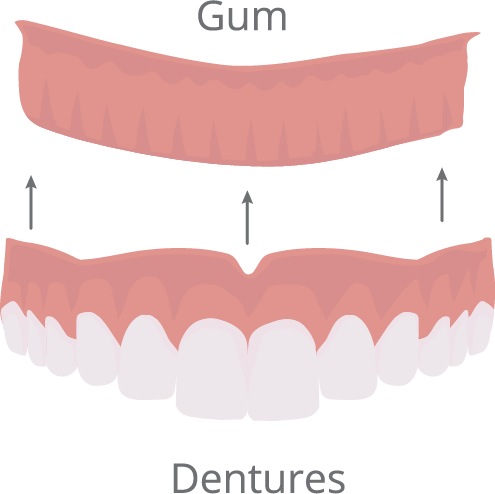 One missing tooth can be the start of a cycle that leads to more missing teeth. Surrounding teeth shift to fill the void, which can cause bite changes that lead to TMJ dysfunction, and your speech patterns and dietary habits can suffer, too. A dental bridge is an excellent restoration option that can prevent the health consequences that pile up after the loss of one or more teeth. We can place traditional, Maryland, and implant-supported bridges in-office. 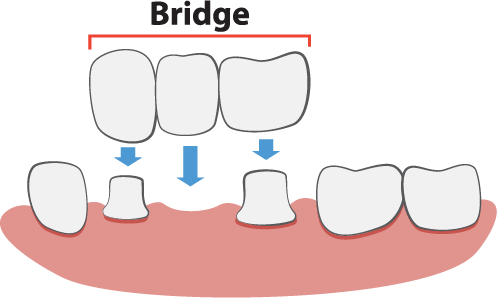 Traditional bridges are the most common and are recommended when two healthy teeth are neighboring the gap. Those healthy teeth will be filed for the placement of crowns, which will support an artificial tooth, or pontic. Maryland bridges are a more conservative option as they can be placed without preparation of your neighboring teeth. Instead, the pontic will be held in place by metal or porcelain framework that will be bonded to the backs of adjacent teeth. Implant-supported bridges are our highest recommended replacement option because they replace your tooth root as well as the crown. To learn about why that makes such a difference, please visit our Dental Implants page. Losing your natural teeth can be an incredibly painful experience. Besides altering your appearance in a way that hurts your self-confidence, it also changes the way you speak and eat. Luckily, modern dentistry has no shortage of solutions to restore your oral health and the way you feel about your smile. At Abilene Family Dentistry, we’ve seen lives improve dramatically thanks to durable, functional, and natural-looking dentures and partial dentures crafted to fit more comfortably than dentures from decades past. If you’ve been considering dentures as a tooth-replacement option or have been living with a set that isn’t secure or comfortable, we’d be happy to help you. For the most secure, long-lasting solution, we recommend dental implants and implant-supported dentures. For more details, drop by our Dental Implants page. If you have any questions about restorative dentistry or are ready to schedule a consultation with your Abilene restorative dentists, Dr. Webb and Dr. Awtrey, give us a call today or request an appointment online!